Raising to the challenge of how to grasp such forms of inequalities that are mediated affectively, Affective Inequalities in Intimate Relationships focuses on subtle inequalities that are shaped in everyday affective encounters. It also seeks to bridge a gap between affect theory and empirical social research by providing ideas and inspiration of how to work with affect in research practice. 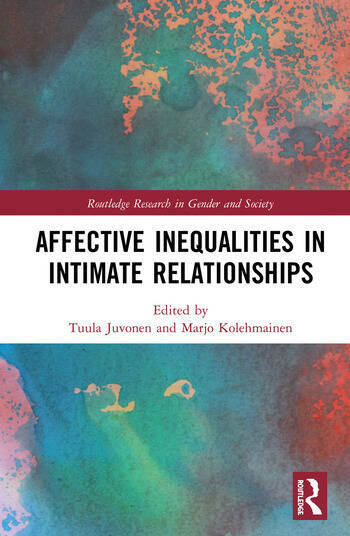 A fascinating contribution to the interdisciplinary field of affect studies, Affective Inequalities in Intimate Relationships will appeal to advanced undergraduates and postgraduates interested in fields such as gender studies, queer studies and cultural studies. Polona Curk: Affective Dissonances: Resources to Disrupt Gender Binaries?